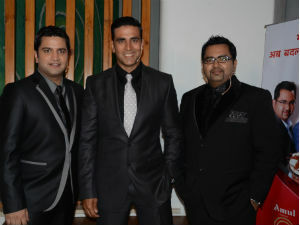 Get ready to witness this year’s biggest New Year party, the BIG STAR Entertainment Awards 2011 on STAR Plus. The BIG STAR Entertainment Awards 2011 will recognize India’s best talent from Bollywood, Television, Sports, Music and Dance. The event will be hosted by two known faces of silver screen – Shreyas Talpade and Irfan Khan. Several popular television stars will also be seen giving sizzling performances. The highlight of the event will be Dabangg Salman Khan who will perform on some of his hit tunes. The gorgeous Diva Priyanka Chopra will also woo the audience with her mesmerizing and sizzling act. Southern superstar, Dhanush, the voice behind the Kolaveri Di fever rounds off the evening with his first ever live performance at the awards show. The show also introduced a new social category – male, female and film honoring those who entertained audiences with a message. So Tune in to the BIG STAR Entertainment Awards to watch this star studded night on Dec 31st, 10 pm only on STAR Plus. All good things come to an end and it’s time for Nach le Ve Season 3 with Saroj Khan to end on a magnificent and grand note with its high octave Grand Finale. 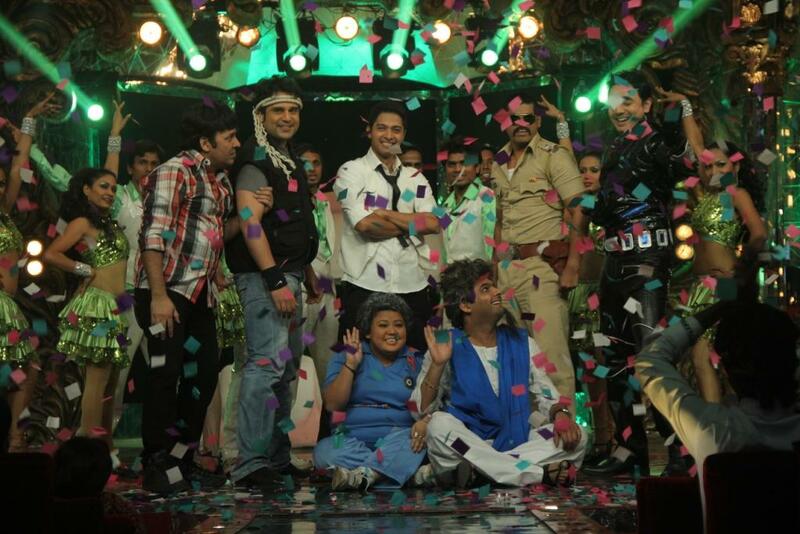 Celebrities, dance, music will all come together on the Grand Finals of Nach le Ve with Saroj Khan. Watch participants Chaitanya-Ashit Dhawan, Tapeshwari, Karishma Tanna-Gaurav Chopra, Prerna Wanvari, Neha Marda, Akshat Saluja, Pooja Kanwal, Jannat Zubain Rehmani-Khushali Hirani and Neil Bhatt-Jayshree Venkatraman fight it out for the title of the ultimate dancing star in this seasons Nach le Ve with Saroj Khan. This dance battle is sure to get everyone on the edge of their seats and the excitement will make the audience groove. This Grand finale will also see famous actress Genelia D’souza put on her dancing shoes and dance on Saroj Khan’s most famous dance numbers. To make sure you don’t miss a single moment of this fun and excitement with your own television stars and the ultimate dancing divas Saroj Khan, Malaika Arora and Genelia D’souza, tune in to watch Nachle Ve Season 3 with Saroj Khan on Friday, 31st December–10 pm only on Imagine TV. The popular cooking reality show, Master Chef India Season 2, is all set to bid adieu. The grand finale of this reality show will be held on 1st January, 2012 only on Star Plus. Actor Akshay Kumar, who was the judge of Master Chef India Season 1 and had refused to do the second season, has agreed to be the celebrity guest-judge on the Grand Finale of the show. Akshay will announce the winner’s name and hand over the prize to him or her. The top 3 finalists of Master Chef India 2, Joseph, Shipra Khanna and Shazia Khan will meet the final challenge in the finale week. So stay tuned to watch Master Chef India Season 2 at 9.00 pm on Saturday and Sunday, only on Star Plus. Comedy Circus will be seen welcoming 2012 with a bang! The special New Year episode will be packed with sizzling performances from ‘Chaamak Chhalo’ Rakhi Sawant and various actors from TV fraternity. They will surely make your New Year celebration more dazzling and glittering by their acts! So what are you waiting for, sit back and enjoy this laughter ride of breathtaking dances and rib tickling acts! So tune in for this and lots more on Comedy Circus Welcome 2012 on 1st January 2012 Sunday at 8:00 pm on Sony Television. Wishing everyone a great weekend and a very Happy and Prosperous New Year!!! Comedy Circus Ka Naya Daur – The Grand Finale! This Christmas the boss of all shows Comedy Circus ka Naya Daur has reached its crescendo! To celebrate the success of this season, Comedy Kings and Queens will present before you power packed episode of entertainment! Comedy Circus Ka Naya Daur Grand Finale will take you on an amazing rollercoaster ride of unbelievable punches and stress bursting performances by our talented comedians on this Saturday and Sunday. And also watch the hunk of Bollywood Sonu Sood give special performance to make the finale more magnificent. So tune in for this and lots more on the Grand Finale of Comedy Circus ka Naya Daur on Saturday (24th December) and Sunday (25th December)at 9:00 pm on Sony Television. Must Watch: Comedy Circus Ka Naya Daur! The all new exciting episode of Comedy Circus Ka Naya Daur will take the audience for a unique laughter ride, guess why? It’s because Comedy King Raju Shrivastava himself will be seen hosting the semi finale of this season. Tonight will be a night of laughter riot on the wackiest themes ever Kashmir to Kanyakumari. So watch out for ‘the war of comedians!’ and catch all this fun and masti only on the special episode of Comedy Circus ka Naya Daur on Saturday 17th December at 9:00 pm on Sony Television. Comedy Circus Ka Naya Daur! Your favorite comedy show Comedy Circus Ka Naya Daur is here to take all your worries and make you laugh on its wackiest theme ever! The theme for Saturday’s episode is ‘Sports Special’. To add glamour to the show, beauty queen Neha Dhupia comes along with Vinay Pathak on the judges panel. So watch, how sporty our comedy kings get to impress beautiful Neha Dhupia with their rib tickling acts. Diwali ke dhoom-dhadake, Comedy ke patakhe! !